Bad breath, otherwise known as halitosis, is a nasty smell leaking from the mouth. 25 to 30% of everyone in the world suffers from it at one time or another, and it’s possible to have it without knowing it. Naturally, when you do have it, the effect on your social interactions can be destructive indeed. People around you may be reluctant to embarrass you or hurt your feelings by alerting you to the problem. Instead, they might pass judgment on your personal hygiene, avoid you, or at least resolve to keep their distance when they do come into contact with you. The causes of bad breath are well understood. They include gum disease, dental cavities, inadequate oral hygiene, certain foods such as garlic and onions, and a white or yellow coating on the tongue that appears or small stones in pockets by tonsils or salivary ducts. When one of these conditions produces bad breath, the culprits are some of the bacteria that live in everybody’s mouth. If permitted to flourish in cavities, under the gum line, or in the pockets that gum disease can create between teeth and gums, they give off sulfurous odors. Among the other causes of bad breath are uncontrolled diabetes, dry mouth, and malnutrition. Dry mouth promotes halitosis because you have an inadequate supply of the salvia that suppresses bacteria. Malnutrition produces a distinctive fruity smell connected to the breakdown of fat. 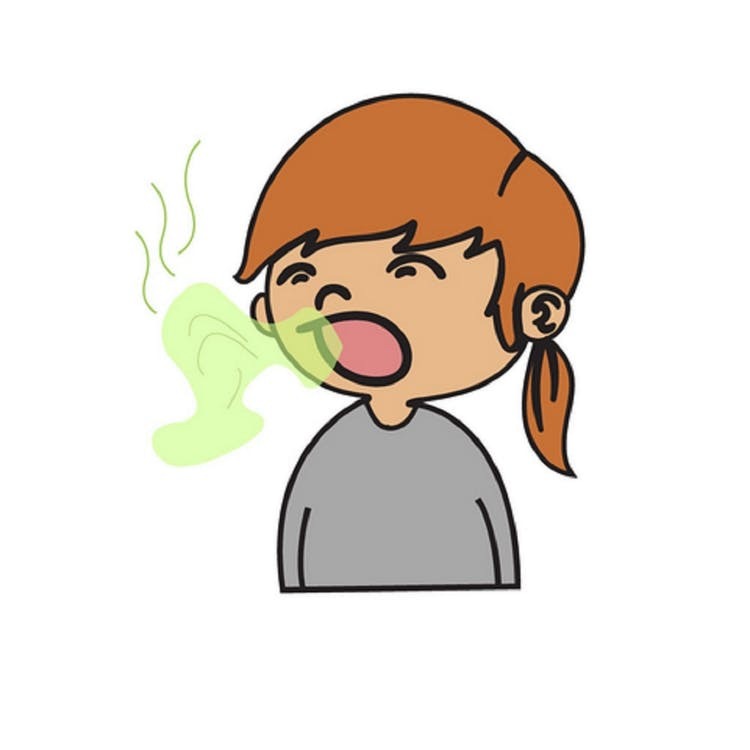 Bad breath can also result from intestinal disorders like lactose intolerance, ulcers, and heartburn and infections like sinusitis and sore throat. All the above causes produce bad breath that’s more or less permanent until the underlying cause is rectified. Bad breath can be temporary when it results from food and drinks like onions, garlic, alcohol, coffee and smoking. As the discussion above would suggest, a halitosis cure often depends on curing the underlying condition producing the bad breath. Treat the gum disease, for example, and you’ve provided a bad breath cure as well. Still, there are things any individual can do to eliminate or at least alleviate bad breath, and the list that follows provides a good selection. Brush your teeth after every meal and floss them twice a day. This gets rid of stray food particles and plaque that, if allowed to remain, promote the growth of bacteria and increase the possibility of cavities and gum disease that produceshalitosis. 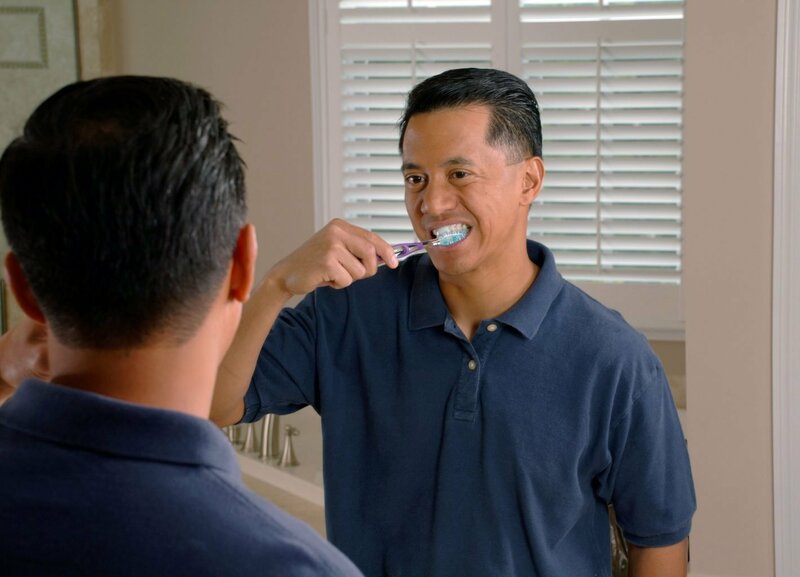 For best results when brushing, place the tooth brush at a 45-degree angle to the gums, move the brush in gentle tooth-wide strokes, and make sure to brush every surface of every tooth, the outer, the inner, and the chewing surface. Proper flossing requires gently guiding the floss between the teeth in a zigzag motion. Wrap the floss around the side of a tooth in a C-shape and floss up and down 6 or 7 times. Rinse with mouthwash. For best results, you want one that’s alcohol-free, and unfortunately, many of those on the market are not. But you can easily make an effective one yourself by mixing a cup of water with a drop of antimicrobial (bacteria-fighting) peppermint oil and a teaspoon of baking soda. This will yield enough mouthwash for several uses, each of which should last half a minute, after which, you spit the solution out. Replace your toothbrush regularly. The bristles wear out, and when they do, they’re less effective for cleaning your teeth and preventing bad breath. Get a replacement every two to three months. Scrape your tongue. If you do this every morning with a tongue scraper or spoon, it will help get rid of bacteria, dead cells, and fungi. If you stick your tongue out and forward, you’ll be able to scrape the back. Clean your dentures. If you wear dentures, all this talk about keeping your teeth clean might seem beside the point. But the bacteria that cause bad breath can accumulate on dentures, too. To prevent this, take your dentures out at night and clean them. You should brush dentures at least once a day, and clean your mouth while they’re out. Soak them overnight in a denture-soaking solution, and rinse them thoroughly before you put them back in. You don’t want the denture-soaking solution in your mouth. Chew a few anise or fennel seeds, or cloves.These have antiseptic qualities that can suppress the bacteria responsible for bad breath. Chew a piece of orange or lemon rind. Just be sure to wash it well first. It will taste good, be refreshing, and the citric acid will stimulate your salivary glands. As we’ve noted, salvia acts against bacteria that cause halitosis. Chew a fresh spring of mint, cilantro, basil, or parsley. These are all green plants that contain chlorophyll, and the chlorophyll neutralizes odors. Schedule regular dental cleanings and checkups. You should have these twice a year, or more often if your dentist recommends it for your particular health. The cleanings get rid of tartar and plaque. Tartar is old dead bacterial plaque that has had a chance to harden. Professional cleaningcombats the accumulation of bacteria, preventing cavities and gum disease that bacteria can cause, and the resulting bad breath. The checkups catch problems early, allowing the dentist to treat them before they advance far enough to create halitosis.